When our good friend Sarah came back in town for a weekend visit, we drove up to North Scottsdale to meet up with her, our other good friend Dani & Dani's mom, for brunch at Local Bistro. It was so nice to see both of them, since Sarah had moved back to California after graduation this year, and we've been terrible at making plans with Dani. Thankfully Dani's sister's baby shower brought Sarah back to AZ, so we insisted on squeezing in a hang out! 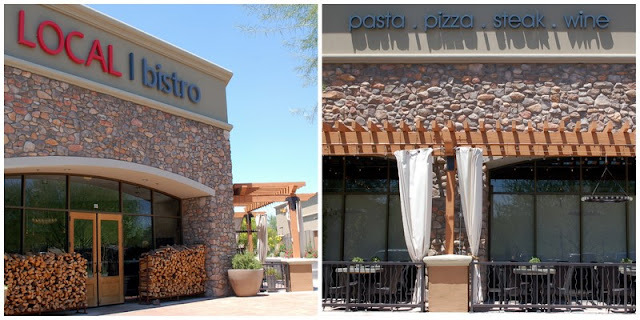 The Italian restaurant is off the beaten path from the 5 mi. radius Chris & I usually give ourselves to drive and try new places, but it was worth it. The restaurant offers brunch on Saturday and Sunday mornings, but is also rumored to have a fantastic happy hour during the week. Good enough excuse for me to come back! I ordered the spanish omelette, which was filled with chorizo and manchego cheese. The plate also came with some delicious fresh fruit, and herb roasted potatoes. Almost everyone at our table ordered something different, which was great! It allowed us to sample almost everything on the brunch menu. Dani's mom had originally ordered the smoked salmon breakfast sandwich, but the restaurant hadn't received its usual morning delivery. 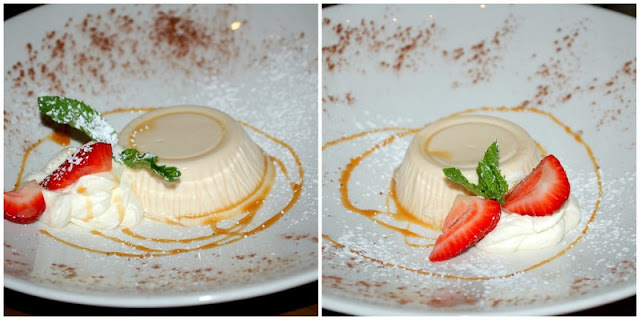 The chef felt bad, and at the end of our meal we were surprised with two caramel panna cotta desserts! It was at least noon by the end of our meal, since we had been sitting and chatting for so long. That was all the justification I needed to have dessert after breakfast. And I was not disappointed! The creamy desserts were so so good. My caramel obsession continues.